Before going to casino and spend money know facts about casinos. Gambling by nature involves a lot of risk, and online gambling in particular requires a leap of faith. Every time you lay down an online bet, you’re trusting that the software hasn’t been coded to cheat you.Can you really trust the software at online casinos? The answer is complicated.Some online casinos are legitimate businesses that are closely monitored by government authorities and other third parties. They don’t try to cheat, and they certainly don’t rig the software. Other less reputable gaming sources are not.The question, then, isn’t whether online casinos are rigged. The question is which online casinos are rigged and – more importantly – how to avoid them.Fortunately, there are ways to tell the difference. It will take a bit of work, but protecting your hard-earned money is certainly worth the effort. The starting point for making sure you’re dealing with a legitimate operation is the gambling provider’s license.If the online casino doesn’t have their gambling provider’s license, the site could be illegal. Naturally, an illegal or unlicensed site is more likely to rig the system Usually you can find a site’s gambling provider’s license at the bottom of its home page or on their “About Us” page. Once you have determined that a license exists, you then should investigate the origin of the license itself. Check the country or territory that issued the license and polices license the provider.Regulations vary dramatically. Some countries tightly monitor gambling providers, while others are very lax and have few restrictions for issuing or maintaining a license. Choose only online gambling venues operating under the strictest regulations and most active licensing authorities. Once you know where a site is licensed, read the regulations they operate under. Make sure you understand how that jurisdiction handles disputes between online players and the online casinos. If the jurisdictional authority don’t involve themselves in a dispute, it may be more likely that online casinos in that jurisdiction make money by rigging the games. Currently, online sites licensed by Costa Rica, Belize, and Panama are essentially unregulated. While there are honest providers licensed in those jurisdictions, it’s easy for a dishonest provider to rig the software. Online sites licensed by the United Kingdom or the Isle of Man are the most tightly and strictly regulated. You are not likely to encounter rigged games on those sites. Who Makes the Casino Gaming Software? Your next step is to research the software provider.Casinos don’t write the gaming software they use; gaming companies do. 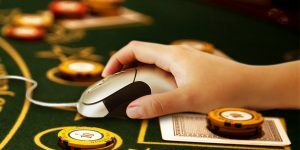 The larger, more reputable gaming software providers have a major investment in the reputation of their products, so they closely monitor how the casinos use their software. That includes periodically testing the software and monitoring statistics at the online casinos. The easiest way to rig the software is to disable the random number generator used to generate outcomes. Disabling the random number generator will increase the house edge. Fortunately, that’s also the easiest hack for a software provider to detect. If the software is provided by one of the biggest manufacturers – Microgaming, Playtech, International Game Technology, or Real Time Gaming – it is not likely that a casino has tampered with it. If the software is provided by a company you’ve never heard of, then it’s possible the manufacturer doesn’t care what happens after the software ships. That’s the software an online casino might monkey with. Who Certifies the Casino Gaming Software? The most reputable casino gaming software manufacturer will have the software regularly audited, tested, and certified by a third party. That objective party will run the software through millions of games to ensure the outcomes are truly random and that the payouts and probabilities match up with the expected or advertised ones.If an online casino tests and certifies its software, it should be prominently displayed or announced on their website.The gold standard for online casino gaming software certification is GLI Digital. As you can see, an online casino would have to invest time and energy, if not money, into rigging casino game software. They actually have other, easier ways they can take advantage of their players. If an online casino wants to cheat you, it’s more likely to be by doing something easy, like taking money out of your account or simply not paying you when you win. If you’re worried about rigged software and fair play, you will want to look for other signs the online casino might take advantage of you. In addition to software certifications, reputable online casinos are certified in their operations, security, and/or financial processes by companies such as PriceWaterhouseCooper, Thawte, GLI Digital, and eCOGRA. Dishonest casinos won’t seek such certification. Disreputable online casinos make withdrawing funds difficult. The more restrictions placed on withdrawals, the more likely you’re going to be cheated. If an online casino is in the business of cheating, then customer support will be unavailable, undependable, or even downright hostile. The most reputable online casinos have exceptional customer support. Test this by calling with a problem and see how they respond. Word of mouth is of great benefit when protecting your money. Check the blacklists, whitelists, and online forums to determine a provider’s reputation with other online gamblers. If you don’t want to go through all of the effort outlined above, one of the simplest solutions is to only play at the biggest, most recognizable online casino names in the business. Major brand sites that have been around for more than five years have too much at stake to cheat their players.